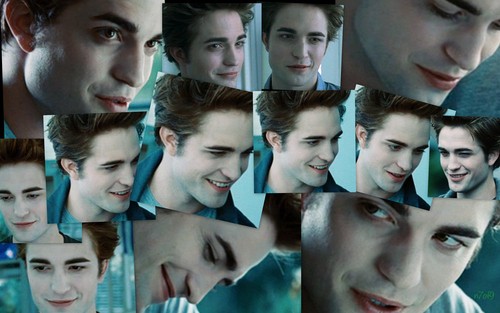 Edward Cullen smiling (n7of9). Edward Cullen smiling. HD Wallpaper and background images in the la saga Twilight club tagged: twilight robert pattinson edward cullen smiling. I simply adore his smile ! I love his smile on his face. He so hot with his blue eyes/short hair/and his smile.